Stay local. 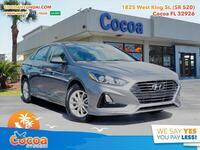 Buy your new Hyundai near Rockledge! Driving out to the big city may be fun, but not when you need to get a new car. 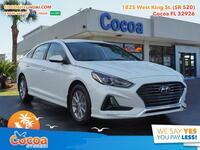 Save your money, and buy new Hyundai models in Rockledge, FL from your neighbors at Cocoa Hyundai. 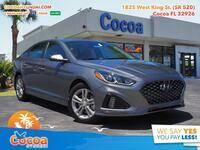 We have a huge selection of new Hyundai models, we routinely offer better prices than Orlando, and there’s a lot to love about buying from us. The Elantra is small on the outside and big on the inside making it ideal for a number of Rockledge lifestyles. It’s somehow both economical and fully-featured. The Sonata is the car you never have to worry about. It always gets you where you need to go. Bigger than the Elantra, it brings even more style and luxury. Getting a crossover is a great decision. 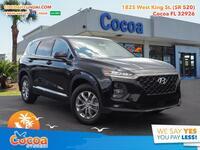 Getting a Hyundai Santa Fe is even better! The Santa Fe is big on features, style, luxury, and capability. Get it for your family. The Elantra, Sonata, and Santa Fe are just the tip of the iceberg when it comes to our inventory. We have all the major Hyundai models. Come check them out in Cocoa today or browse through our entire inventory online. Why would you want to buy from us? Well, besides the fact that we are right next door and always ready to help you with whatever you need, we are also a family-owned business. When you spend money here, it stays right in the community where it belongs. That’s not the only value proposition that we have to offer. Take a look at the long list below. 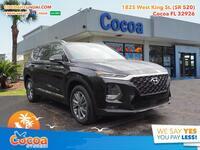 When you buy a new Hyundai from Cocoa Hyundai, you get a One Million Miles Plus powertrain warranty and you even get free oil changes for life. Make sure you really like the car you choose with our three-day exchange program. Upfront and transparent pricing. You know what you’re paying. Full service center and body shop. All the models you want including Accent, Santa Fe XL, Kona, Tucson, Veloster, Ioniq Hybrid, and more. 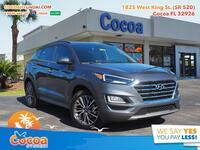 When you shop at Cocoa Hyundai, you can always shop with peace of mind. We invite you to come out from Rockledge and see all that we have to offer. You can always reach out to us with any questions you have too! We want to hear from you!